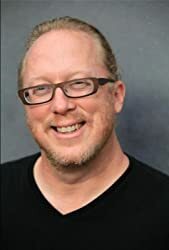 Barth Anderson’s short stories have appeared in Asimov’s, Strange Horizons, and Talebones, and he won the Spectrum Award for Best Short Fiction in 2004 for his short story “Lark Till Dawn, Princess.” Anderson is chief blogger at Fair Food Fight, specializing in shaking up the food and ag worlds. He lives in Minneapolis. You can learn more at his website. CLICK HERE FOR MORE STORIES BY BARTH ANDERSON. Jeremiah Rosemont is a far-fallen academic star, an art historian with specialized knowledge of — and uncanny experience with — tarot decks. 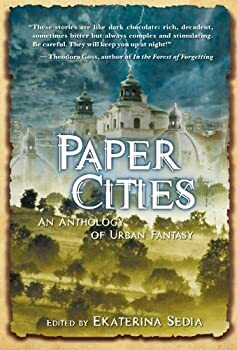 Having exiled himself from the United States, he finds his wanderings through Nicaragua interrupted one night by the mysterious delivery of a plane ticket to Rome. There, he stumbles into a maelstrom of occult forces and figures gathering around a deck of uncertain origin and powers. Another figure with links to the deck is the Boy King, a vagrant in Minneapolis with strange and formidable talents. 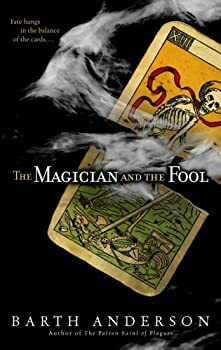 The chapters of The Magician and the Fool alternate between Rome and Minneapolis, while the story meanders through time and space, until the lives of Rosemont and the Boy King finally dovetail with surprising consequences.